Coverdale, one of tributaries of Wensleydale and one of my favorite dales, is a small one. James Herriot expressed it in "James Herriot's Yorkshire" like the following. "This high country is just too bleak for some people but it is up there on the empty moors with the curfews crying that I have been able to find peace and tranquility of mind." And "Coverdale is, in a sense, a hidden place. It dosen't open up its foot and beckon you in as do Swaledale and Wensleydale." He also described that Coverdale is "the bleakest country in England," and "it is beautiful but it is a stark beauty of treeless heights and squat grey houses." Coverdale is a dale deserted and lonely but quiet, and has something more beautiful which other dales don't have. 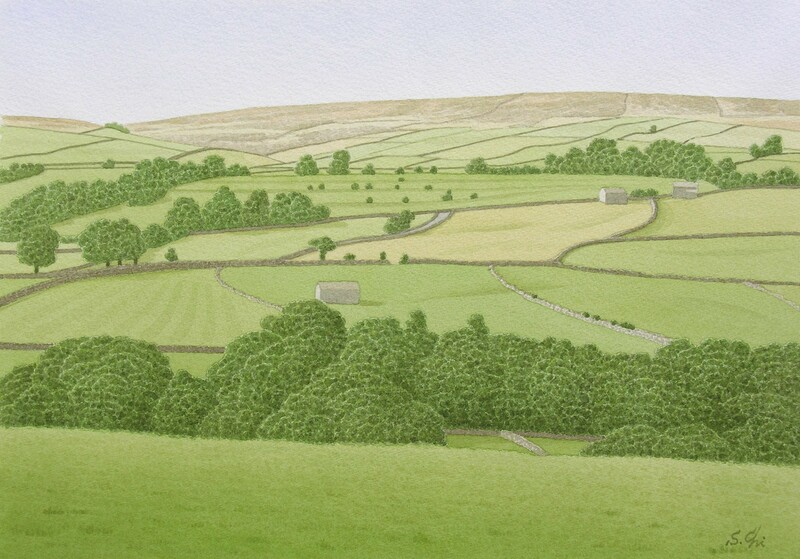 Particularly, the green of the dale in summer is heavenly.